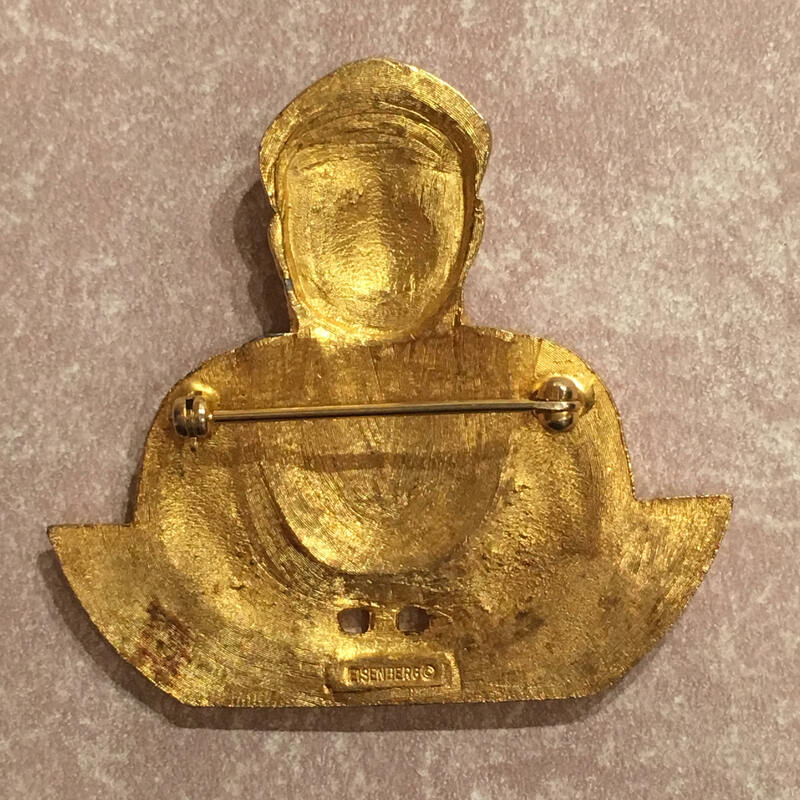 Rare Eisenberg Signed figural Buddha brooch. 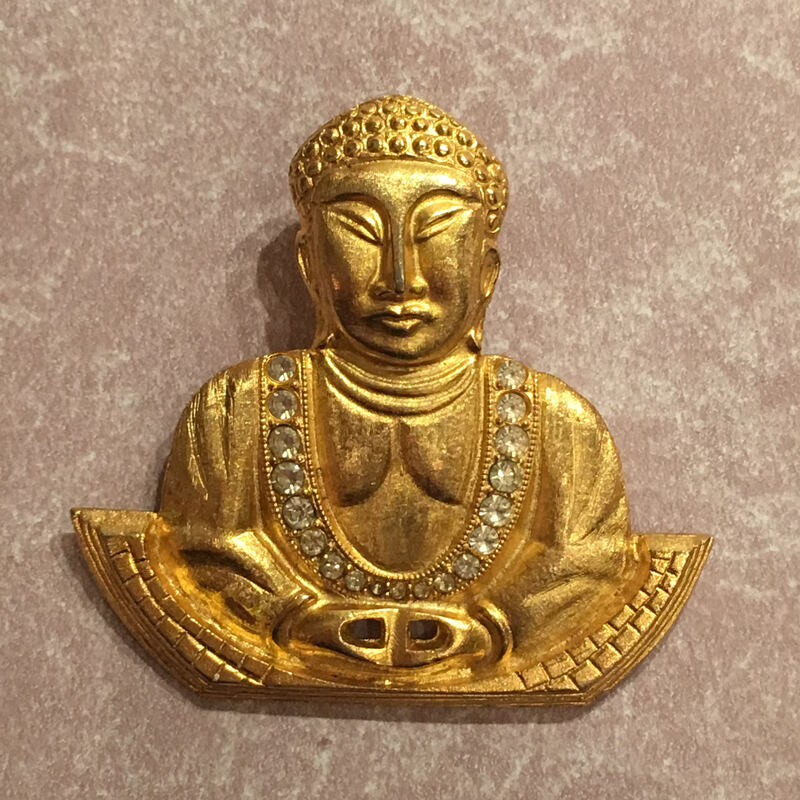 2.5 inches height, this Buddha is in excellent condition. Difficult to photograph the beautiful gold "florentine" finish. This design is a remake of an earlier more elaborate Eisenberg buddha with an ornate headdress.